These are a couple of images taken from my latest cancer animation. The grey character is the tumour suppressor protein p53. It’s a pretty interesting character in that it is made up of a tetramer with four symmetrical limbs designed to grab onto DNA like its climbing a rope. It does this in response to DNA damage to tell the cell how best to respond. This molecule is mutated in over half of human cancers which means that it can no longer grab onto the DNA. Because of this, the cell does not know how to deal with damaged DNA and this can be copied over and over again as the cells divide. Over time, cells can accumulate all kinds of molecular mistakes such as this and increase the chance of becoming cancerous. 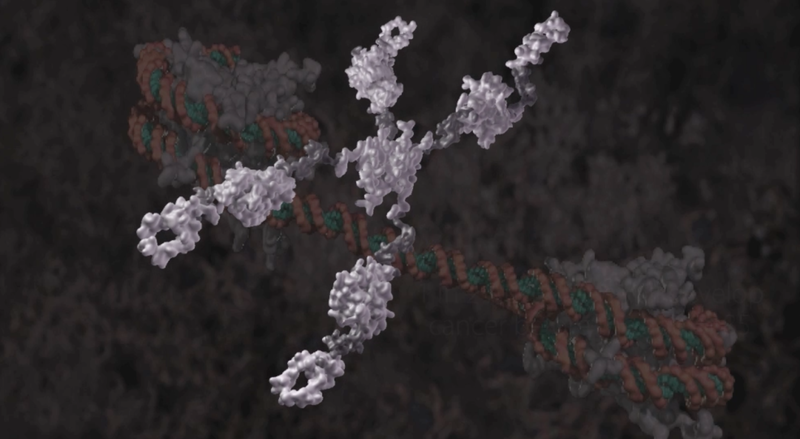 For the animation / 3D folk… this structure was constructed in maya using the molecular maya plug in, information derived from the protein data bank. 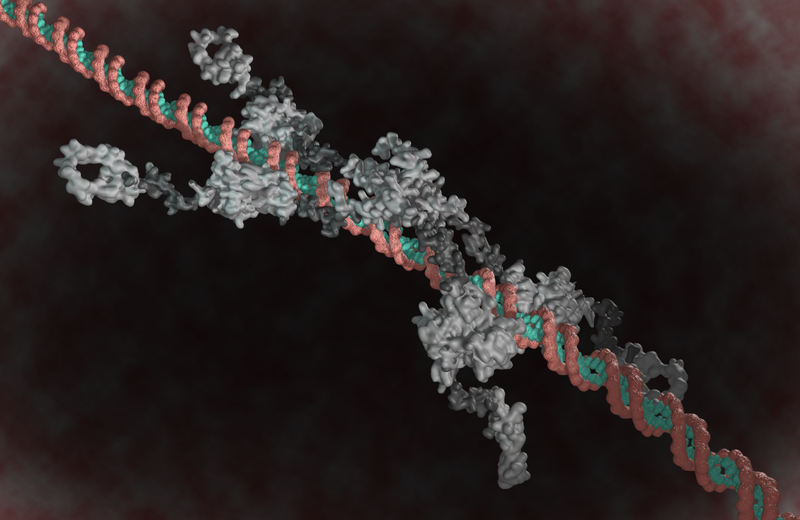 The rigid, well characterised domains are linked by more flexible regions that allow the molecule to bind to multiple spots on the DNA. I rigged the molecule by skinning the mesh to a skeleton and control the movement with multiple IK handles and have applied some randomised mel scripts to various points to emulate brownian motion and organic movement of the flexible regions. Comments welcome!